Furniture was floating, they said. The refrigerator had fallen; Utensils, knickknacks and clothes were swept away; the kitchen was gutted. 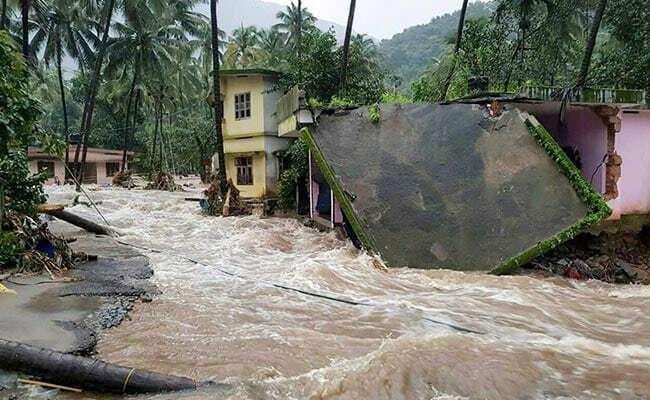 The unprecedented rains lashing Kerala, which have flooded large swathes of the state, reached Palakkad town where my elderly parents live on August 9. When I called them from New Delhi in panic, they told me water had entered the ground floor of our two-story house. Furniture was floating, they said. The refrigerator had fallen; Utensils, knickknacks and clothes were swept away; the kitchen was gutted. With water filling all the rooms, they moved to the first floor, which is an independent unit. Thankfully, they had food stocks and there is a also kitchen on the first floor. Worried about their safety, I flew to Coimbatore on Monday, August 13, and took a bus for a one-hour ride to Palakkad. Mercifully, the rain had eased a little when I arrived a little after noon, and I could make it to the house without an incident. The sight that greeted me was a shock. Our home for more than two decades was a mess, even though my father, who is 72, and 66-year-old mother, had cleaned up the ground floor with the help of neighbours. I walked through the knee-deep slush, dropped them at a relative's place and flew back to hot and humid New Delhi. Our neighbours, a septugenarian couple, decided to stay back in their home. "I hope things will back to normal soon ... but we are afraid whether shutters of nearby dam will be raised further," said the lady of the house known to us as Ambika chechi. When I told him that the downpour is getting heavier, he said: "We have already seen the worst, what more can we prepare ourselves for. Let's hope for the best".